Are you looking for the best Tampa lawyers for personal injury & best Tampa lawyers for criminal defense? - Best Lawyers magazine nominees Martin Hernandez and Daniel Fernandez located in Tampa FL. Why We are the Best Tampa Lawyers for You? You are here: Home » Why We are the Best Tampa Lawyers for You? Are you looking for the best Tampa lawyers for personal injury or criminal defense? If you are looking for one of Tampa’s best attorneys or Tampa’s best law firms for personal injury or criminal defense, then you have come to the right page! 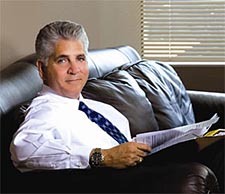 Martin J. Hernandez was nominated to be in 2013 Best Lawyers magazine for personal injury and criminal defense. 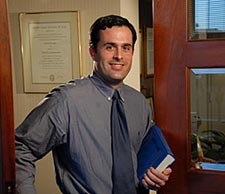 Daniel Fernandez was nominated to be in 2007 Best Lawyers magazine for personal injury and criminal defense. The Fernandez & Hernandez Firm’s lawyers handle personal injury and criminal defense throughout the entire Tampa, South Tampa & West Tampa area. Areas we service include Town ‘n’ Country, Brandon, Riverview, West Tampa, West Chase, Hyde Park, Culbreath, West Shore, Palma Ceia, Gulfview, 33635, 33615, 33634, 33626, 33625, 33508, 33509, 33510, 33511,33568, 33569, 33578, 33579 & all of Hillsborough County and the state of Florida.